So what to do? Find someone who has been cooking them for ages and ask them for their favorite recipes! So glad someone already thought of that! Today I decided to go with Maw Maw’s Favorites. All of them looked good. 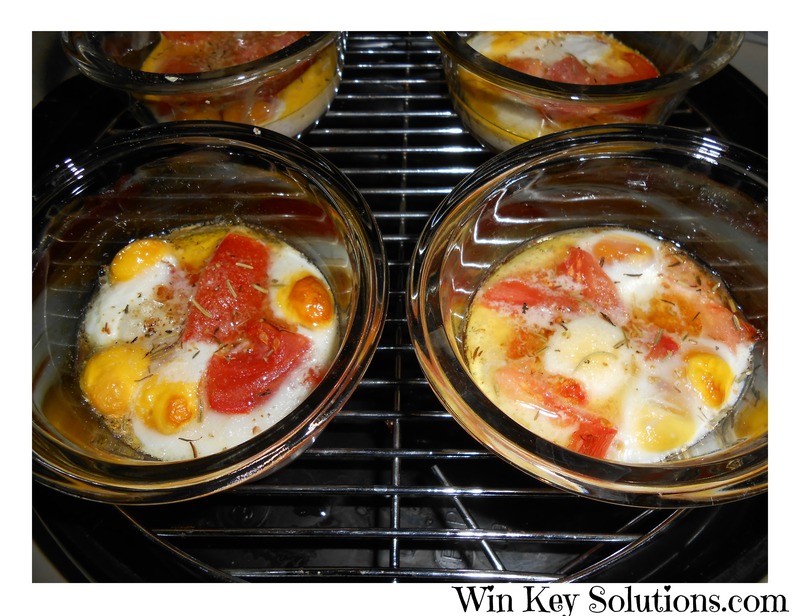 I had some left over tomatoes from last night’s Hamburger dinner and I love using our individual baking dishes so I decided to try the Baked Quail Eggs! This was a big hit in our home today so of course I had to share! Spread butter in muffin tins. 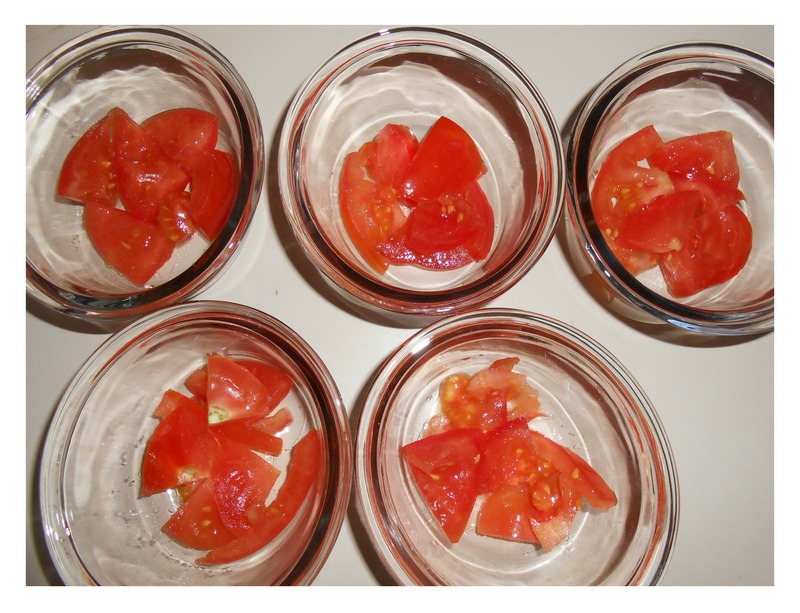 Put a thin slice of fresh tomato in the bottom of each ring. Break 2 quail eggs in each ring, sprinkle with salt and pepper. Cover each ring with another slice of tomato, sprinkle with salt and pepper and top with a small amount of butter. 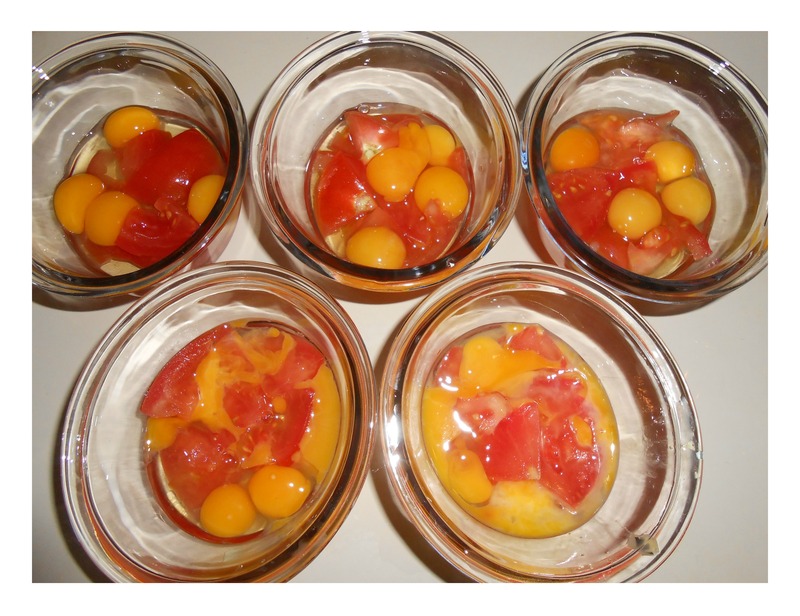 Bake until tomatoes are done and quail eggs solid. Serve on buttered toast. I only had enough tomatoes to do one layer… such is life. The next part was pretty interesting. Cracking smaller eggs turned out to be messy. It turns out if you are not careful they will squirt you! I found that if you crack once to create a “soft spot,” and then press in with your thumb (make sure to point downwards to avoid the squirt) the yoke will come out pretty easily. Here is what they looked like before they went into the NuWave oven. I didn’t think 2 quail eggs were enough so I went with 4. If you need a little comparison, I hear 5 quail eggs = 1 chicken egg. Add a little butter and place in NuWave. 1 dish cooked for 8-9 minutes at the highest setting (450 degrees). 4 dishes cooked at at 12-13 minutes at the same setting. You can also throw this in the microwave and cook for about a minute. That reminds me of the Omu Rice in a Cup! A dash of salt and a dash of garlic, lemon or lemon peel, and rosemary mixture. Heads up ~ Quail eggs have some surprising health benefits for chronic disease suffers. The Chinese used them for centuries to treat health problems like tuberculosis (among other things). If you suffer from allergy, asthma, kidney, liver, skin, stomach, or digestive problems… you may want to consider adding 2-3 of these eggs to your diet. Make sure to do your research! Either way they are delicious and I Hope you get a chance to try it! 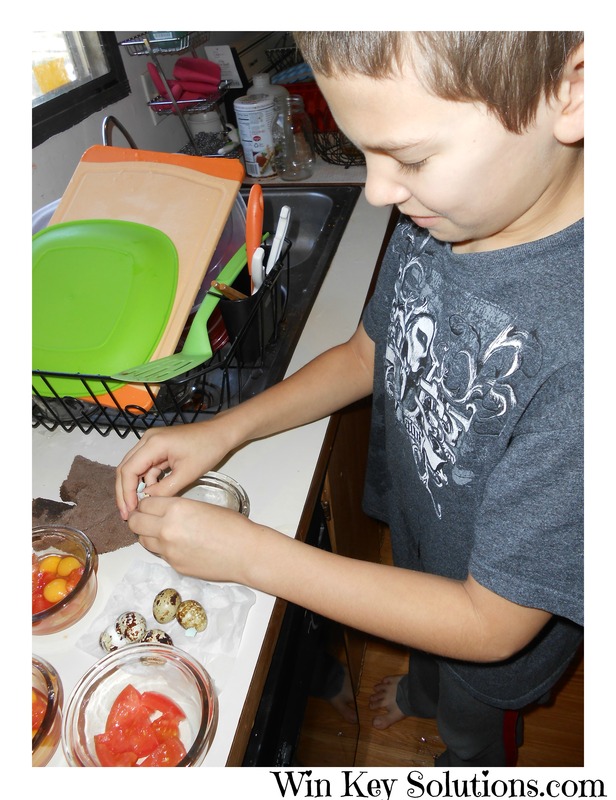 Check out these links below for the Health benefit of Quail eggs! I’ve never cooked with quail eggs! I might have to give them a try. 🙂 Thanks for the inspiration!